And it was, that when Yaaqov saw Rakheyl, daughter of Lavan, brother of his mother, and the sheep of Lavan, brother of his mother, that Yaaqov approached, and rolled the stone from above the mouth of the well, and [gave to] drink the sheep of Lavan, brother of his mother. The text tells us that he “saw” Rachel, but this visual term belies what he really saw. He saw his future wife. He saw the woman of his dreams. This concept is furthered in the text with the term VAYASHEQ, meaning “and he [gave to] drink” – concerning what he did for the sheep of Laban. In the next verse, we read also the term VAYASHAQ, separated only by five words, spelled exactly the same due to the conjugation of the Hebrew verbs, but pronounced slightly differently. 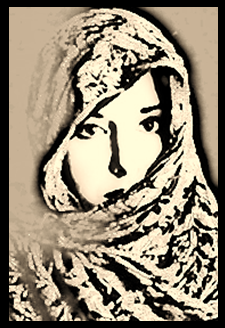 VAYASHAQ means “and he kissed” – concerning what he did to Rachel, daughter of Laban. The wordplay in the Hebrew speaks volumes. The sheep he watered, the daughter he kissed! He treated Rachel differently, and Scripture makes it clear that he did not treat Leah to the same affection. And Ya’aqov served for Rakheyl seven years, and they were in his eyes as several days in his love for her. The Hebrew text here contains a very interesting phonetic wordplay that cannot be overlooked in the focus of this study. The phrase Jacob spoke of “unto her” is pronounced in the Hebrew of the text as EYLEYHA. 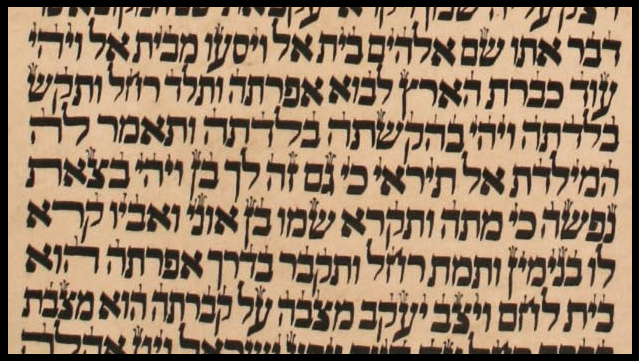 While it may not seem to jump out to you at first glance, when you hear the Hebrew being spoken, it sounds essentially the same as the name LEYAH. The difference in pronunciation between the two terms is almost negligible, so that it very much sounds like Jacob is asking Laban to allow him to have marital relations with Leah! The actions of Laban's deceit can thus almost be justified by the very words of Jacob himself! ​Even with the deceit of Laban fueled by the phonetic wordplay of Jacob’s tongue, he was undeterred to have the one who already had his heart, with no thought for the heart of the woman he had just wed. Think of the pain in Leah’s heart: she acted in obedience to her father, and it should be noted that the text never once says that she knew she was not to be married to him. The custom of her land was to marry the eldest first. While she was aware of the feelings Jacob held for Rachel, she very likely would have thought that she would be the first one given to him. 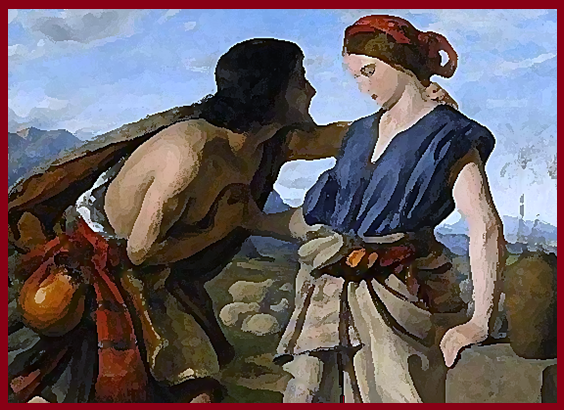 While commentators and sermons extol the love of Jacob for Rachel, and diminish Leah all too hastily, her quiet acceptance of her situation should instead speak volumes to us now. She experienced for a night the pure adoration and love of a man who should have been her husband, had he properly approached her father with cultural norms in mind (see Genesis 29:26). For one night she experienced what it was like to be desired as a cherished bride, as a long-desired prize. Leah knew the love of Jacob on her wedding night, and loved him in return, in spite of herself. ​Leah incorrectly thought that her deep marital affliction was over with the birth of her firstborn son, Reuben, and the Hebrew preserves a wordplay in the text here aligning with the theme of “seeing” that recurs in this historical account of a troubled marital situation. The term that Leah used for “my affliction” is AN’YEE, which, is spelled almost identically to the term AYNAY – “eyes” (appearing in verse 17 about Leah and verse 20 about Jacob) even though the pronunciation is not exactly the same. This insightful wordplay showcases her belief that the Most High had looked in favor upon her “eyes” – that is, her apparent physical attributes that were not as pleasing as her sister’s, and felt that the conception and birth of the first son to Jacob was making up for her undesirable physical appearance. Although he was devoted as a husband to both sisters, Jacob’s love for Rachel never diminished, but it is also never said that his feelings ever grew for Leah. Even though Leah provided him easily with sons, and Rachel was barren for a considerable time after their union was sealed, when she at last conceived and birthed a son for him, whom she named Joseph, he treated the son of his second wife with more favor than Leah's sons. Leah watched as he treasured Joseph above all the sons obtained from her, her handmaid, as well as the sons obtained from Rachel’s handmaid. Rachel was his beloved bride, and he cherished the single fruit of their union unlike any of Leah’s sons. After the passing of several more years, Rachel conceived a second time.
. . . “Now I shall praise YHWH!” For thus she called his name Y’hudah . . . The first exclamation of praise ever recorded in the Word given to the Holy One comes from the mouth of a woman who was locked into a difficult marriage that she was trying to make the best of. 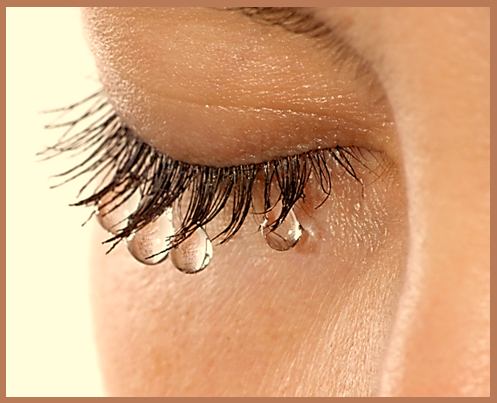 Leah’s lips uttered the original praise to the Father for His compassion on her plight. In fact, of the children borne of Leah and of those borne for her by her handmaid, she explicitly refers to the Holy One in every instance but two – that is for seven out of nine children that the Creator is blatantly referred to at their births. It is intriguing to consider that although Rachel was the beloved of the two brides, it was the sons of Leah to whom would be given the kingship (Judah) and the priesthood (Levi) in the nation of Israel. Leah was honored by the Most High in the future elevation of her sons in the midst of all the tribes. In contrast to these details, not only did Rachel commit an idolatrous act and lie about it to her father and her husband, Rachel referred to the Holy One only during the birth of her firstborn, Joseph, but not at the birth of her second son, Benjamin. And Ya’aqov pulled up from Beyth Eyl, and there was yet a length of land to come [to] Ef’rathah. And Rakheyl birthed, and her birthing was fierce. And it was in the fierceness in her birth, that her birther said to her, “No fear! for even this is a son for you!” And it was in the going forth of her soul – for she died – that she called his name Ben Oni, but his father called him Binyamin. And Rakheyl died, and she was buried on the way to Ef’rathah, which is Beyth Lakhem. ​The grief of Jacob was real. He mourned for Rachel as a man deeply in love would be expected to do: in his own private way. He even constructed a column to serve as a monument marking her burial place. As beloved and as important as Rachel was in the life of Jacob, she passes from the narrative at this point, and the reader is quickly moved to the next phase of events in the life of our patriarch. There they buried Avraham, and Sarah, his wife; there they buried Yitzkhaq, and Rivqah, his wife; and there I buried Leyah. ​At this, the twilight of his days, Jacob gives us the detail that his resting place will be with the wife whom he did not desire, whom he passed over even though she was the eldest, even though it was against the custom of the land. His burial place would be with the wife who was responsible for nine children – eight of whom were to become tribes themselves. He would be put into the earth in the cave next to a woman who stood by him despite an awkward and difficult marriage not of her choosing. With the patriarchs of great faith – with our father Abraham, and his son Isaac, and the matriarchs responsible for so many great women of faith – Sarah and Rebekah, Jacob would be laid to rest next to his bride, Leah. Although Leah lived a life of humility in the shadow of her younger sister, she is seen by us who take time to look closer to have been placed in the spotlight of faith by the Most High. This study is meant as a parallel companion piece to my study: Two Hands for Benjamin. ​​All study contents Copyright Jeremy Chance Springfield, except for graphics and images, which are Copyright their respective creators.